I have a strange history with the Dragon Quest series. You'd think that experience would've prompted us to buy and similarly burn our way through the second, third and fourth Dragon Quest--er, I mean Dragon Warrior--titles. For whatever reason, though, we didn't. 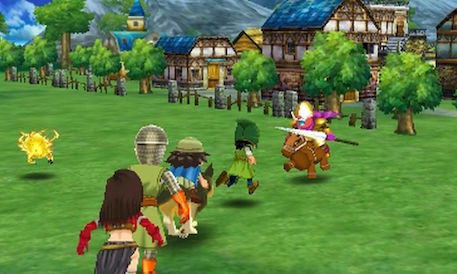 In fact, we (or, rather I) ignored every other Dragon Quest game that was released in English until Dragon Quest IX hit the streets in my neck of the woods in 2010. This time, I not only reached the end credits on my own but put more than 100 hours into it along the way. I intended to follow up that experience my battling through the DS remakes of Dragon Quest IV, V and VI--or at least one of them--but you know what they say about best-laid plans. Did I partially make up for the misgivings detailed above by pre-ordering the North American 3DS remakes of Dragon Quest VII (and Dragon Quest VIII) as soon as I was able to do so last year? I'd like to think so. Even better, in my mind, is that I crammed the Dragon Quest VII cartridge into my trusty 3DS as soon as the former arrived on my doorstep a couple of weeks ago. Fast-forward to today, and I'm about seven hours into this portable adventure. I'm enjoying the journey so much at the moment that I'm beating myself up for not playing the game sooner. That's mainly because of the characters and the story. Actually, I think my favorite aspect of Dragon Quest VII right now is the little vignettes you have to complete while advancing the overarching saga. Some of them are silly, some of them are surprisingly poignant (the first one, especially)--and all of them enjoyable. Or at least that's been the case with the handful I've encountered up to this point. Those aren't the only reasons I'm busy kicking myself for passing on Dragon Quest VII for so long. 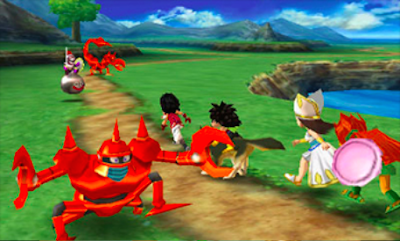 A few others include Akira Toriyama's adorable monster designs, Koichi Sugiyama's magnificent soundtrack and the stellar visual upgrade provided by ArtePiazza's crack team of artists and developers. In fact, this version's aesthetics make it the most appealing Dragon Quest to date as far as graphics are concerned--in my humble opinion, of course. Anyway, I know I've got a long, long way to go before I see this game's credit roll, but I have absolutely no doubt I'll get there eventually. How about you? 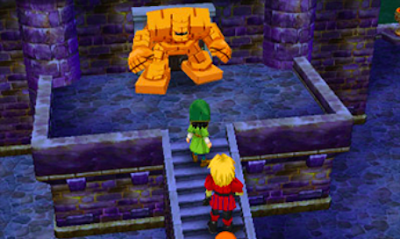 Are any of you also playing the Dragon Quest VII 3DS remake? If so, what do you think of it so far?